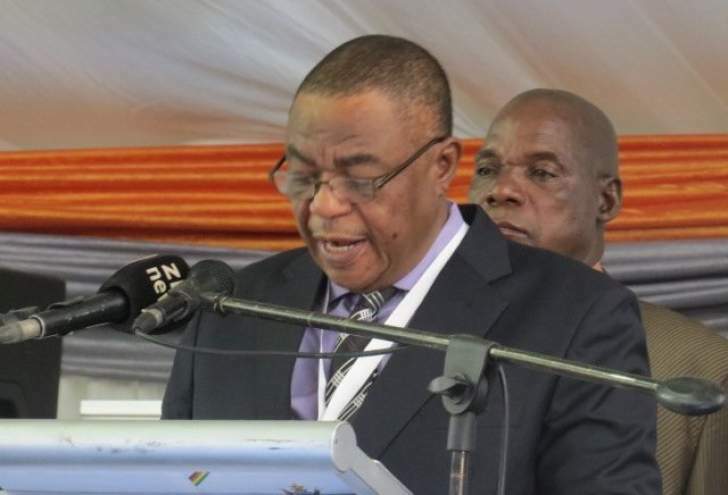 Zimbabweans must desist from fighting and embrace peace and unity, Vice President Dr Constantino Chiwenga has said. Speaking at the burial of the Ambuya Mary Rushwaya, mother to Defence and War Veterans Affairs Secretary Mr Martin Rushwaya at Glen Forest Memorial Park yesterday, Chiwenga said man's existence on earth was only temporary hence people must prepare for eternal life in heaven and desist from acts of violence. "If death is everyone's fate, how are we supposed to live? Let us live together in unity. Let us not fight one another as we are God's children and God abhors fighting," said VP Chiwenga. He said fighting does not take the nation anywhere. Chiwenga encouraged youths to go to church. He said while Ambuya Rushwaya had completed her journey, she left behind a legacy, which youths of today must emulate and uphold. Chiwenga, who said he had known Ambuya Rushwaya since the time when her son was still at university, described her as an iconic teacher who stuck to church doctrine. "As we leave here, let us learn to be peaceful. Let us not fight. It is better for our youths to go to church than be used to do irrational things," added Chiwenga. Defence and War Veterans Minister Oppah Muchinguri-Kashiri said the death of Ambuya Rushwaya was a great loss to the women's movement in Zimbabwe. She said Ambuya Rushwaya was one of the few educated women who promoted women's empowerment and spearheaded adult education before the country's independence. "She was one of the first female teachers back then. Women were not educated because of the belief that it was not necessary because they will get married. She was one of the women we looked up to. When it came to black empowerment, women's literacy, which was never promoted during the colonial era, we had women like her back then," said Minister Muchinguri-Kashiri. "We have lost a hero in the women's movement. We have been relying on her all these years from the time she was a teacher until she moved to the Young Women's Christian Association (YWCA)." Ambuya Rushwaya served as a projects director at YWCA for 17 years. YWCA national general-secretary Mrs Muchanyara Mukamuri said her death was a great loss to the organisation. She said Ambuya Rushwaya was also instrumental in shaping marriages and understanding the role of African women in society. She said during her time at YWCA, Ambuya Rushwaya visited many countries where deliberations on women's empowerment were made, including the popular 1995 Beijing Women's Conference. "It is a loss for us and we can not even fill the gap. For me she was an advisor," she said. Several senior Government officials, service chiefs and other dignitaries attended the burial of Ambuya Rushwaya who died last Friday in Harare after a long illness.